‘Kallan Pavithran’ is one of the best films ever made in Mollywood or may be one of the best ever in Indian cinema. It was really a great film with pure class treatment in a simple style and a film which tells the real of a local thief. Mollywood audience accepted this film with both hands and it is the first ever commercial success or the super hi of director Padmarajan. He scripted the movie based on his own short story with the same title. 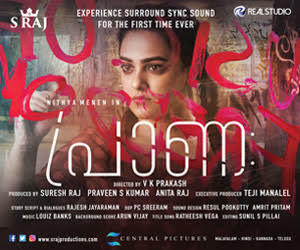 The movie was funded by M Mani under the banner of Sunitha Productions. Vipin Mohan handled the camera and music in the film is composed by Shyam, one of the most popular music directors of that time. The film was released on 1981 June 26 to be precise. The film’s plot revolves around a local thief named Pavithran. He was called ‘Pavithran, the thief’ by the public eventhough his thefts were of small nature and one which is not much harmful for the society. So in order to escape from the title of a thief he goes to a person named Mammachan to request for a job in his mill. But Mammachan refuses to give him any job there. Pavithran also meets a merchant in the town who is a crooked one. Later, a theft occurs at Mammachan’s house and that incident changes the life of ‘Pavithran, the thief’ and which seals his fate. Nedumudi Venu played the protagonist ‘Pavithran’ in the film and gave a sterling performance playing that character. Adoor Bhasi played the character of the crooked merchant and actor Bharath Gopi essayed the role of Mammachan. Other artists who were the part of the film are Beena, Devi, Prem Prakash, Subhashini and Bhasakara Kuruppu. ‘Peruvazhiyambalam’ and ‘Oridathoru Phayalvan’ were the first two films of Padmarajan which were released before ‘Kallan Pavithran’. Both the movies were critically acclaimed but could not reap commercial success.